This entry was posted in Potty Gardener and tagged Sunbubble, Rootrainers, Rootrainers Racking Station on 20th January, 2016 by Potty Gardener. Thanks to the fearsome weather over the past few weeks any gardening time has been spent undercover in my garden shed, clearing, sorting and tidying. There were moments, with the full force of Storm Barney raging outside, when I feared a Wizard of Oz style take-off in the gale force winds. There were also moments when I feared a horror movie style savaging from the monster sized spiders crawling out from every dark corner of the shed. Thankfully, I have survived the storms and the spiders to tell the tale of the looking after Rootrainers, the marvels of Soft-tie and the cure for arachnophobia…. I was busy stacking up a neat pile of the Rootrainers, that had so successfully nurtured my sweet peas earlier this year, when I heard some disapproving mutterings blowing in with the wind through the door….Grandpa Haxnicks had arrived to help. My neat stacks of Rootrainers, he told me, were all wrong. 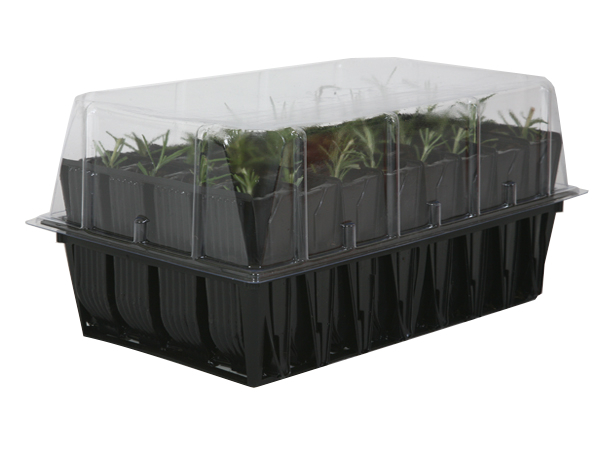 Apparently, stacking the propagation lids inside one another in direct sunlight can dramatically reduce their life span as, in warmer weather, heat can build up between the layers and warp the plastic. He also advised that I keep the black Rootrainer cells away from the direct sunlight of the shed window too. He says that I should look after my Rootrainers as I would look after biscuits…hmmmm….? Unwrap, eat within 2 days and buy more? I think perhaps store in a cool, dry place away from direct sunlight. The next mess to tackle was the unruly pile of bamboo canes that had somehow been interwoven with the electric strimmer cable and some nylon strawberry netting and was resembling some form of giant primary school textile project designed to teach texture and uninhibited creativity. Grandpa Haxnicks’ answer to this mess….Soft-Tie! Small lengths of the bendy, stretchy garden tie can be tightly twisted to keep all manner of things in place. I still had to untangle the mess but hopefully now that all is secured such muddles will be a thing of the past. I won’t bore you with the rest of the clearing that went on, except to say that it was interspersed with involuntary screams as the largest, hairiest spiders in the whole of Dorset were uncovered. One particularly evil spider, that had clearly had enough of all the fuss I was making, decided to disappear up my sleeve whereupon I entered into a kind of possessed frenzy, removing layers of clothing, shaking my arms and, much to Grandpa Haxnicks’ amusement, tripping over the wheelbarrow. This complete loss of dignity, coupled with extreme exposure to spiders seems to have had a curative effect on my arachnophobia. I feel a lot less squeamish in their presence and, I hope in the future, a little more in control when under attack. If any spider dares to crawl up my sleeve again then he will find I have a trick up there to render him helpless…Soft-Tie. Perfect for keeping unruly things, such as 8 hairy legs, under control! This entry was posted in Potty Gardener and tagged Deep Rootrainers, Original Soft-Tie, Rootrainers, Compact Rapid Rootrainers, Slim Soft-Tie, Woody Original Soft-Tie, Woody Slim Soft-Tie, Rapid (Shrub) Rootrainers on 26th November, 2015 by Potty Gardener. 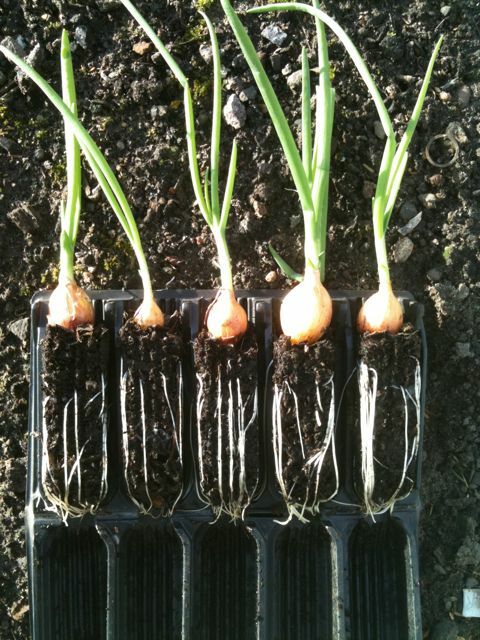 to avoid damaging the baby plants when planting out. 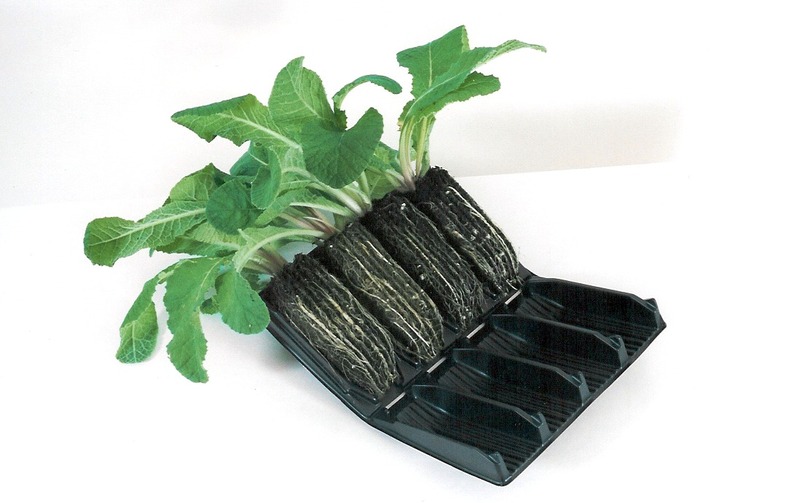 long, vigorous root system is the key to strong plants. vegetables.As your local garden centre for Haxnicks Rootrainers. This entry was posted in Grandpa Haxnicks and tagged Deep Rootrainers, Sweet peas, Rootrainers, Air-Pruning, Compact Rapid Rootrainers, Propogators, Runner beans on 13th February, 2013 by Haxnicks.